The right post treatment is necessary to prevent skin infection, skin texture change, or other unwanted side effects. At Shahorla Beauty Studio, we give our clients post treatment instructions to follow after the removal. Tattoo removal is a relatively simple outpatient procedure, but we take care to give you the steps you can follow to achieve a great result. 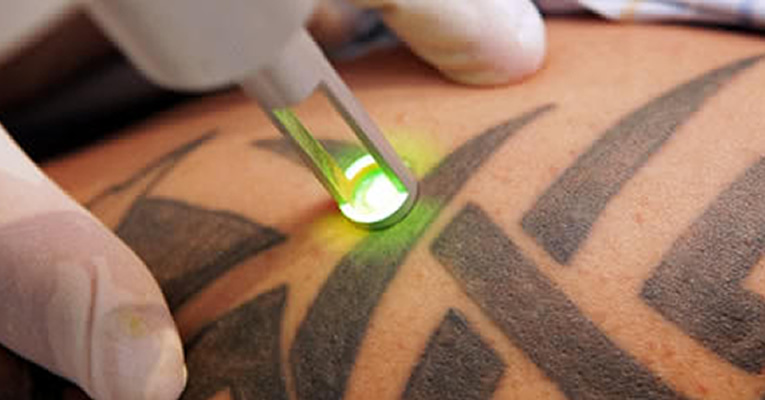 The laser tattoo removal treatment creates a superficial skin wound. Some patients may experience bruising or swelling. There is immediate whitening of the treated area, which usually lasts for several minutes. Many clients then develop blisters, crusts or scabs within 8 to 72 hours, which may last for one to two weeks or more. The treated areas may be pink or pale after the scab seperates. Scarring which can be hypertrophic or even keloid, can occur but is exceptionally rare. Reduced or excess skin pigment in the treated area can occur, and is temporary except on very rare cases. Healing is usually complete within 4-6 weeks, although this may vary. Avoid for the next 1-2 weeks: Direct sun exposure, hot tubs, pool water and salt water until tattoo is healed. Keep the treated area clean and dry while it is healing. Clean the area with anti-bacterial soap if needed and then pat the area dry. Avoid high pressure water hitting the treated area. Some scabbing, blistering, light bleeding and itching may occur. Immediately after treatment, there may be erythema (redness) and edema (swelling) at the treatment site. This usually lasts 2 hours or longer. The erythema may last up to 10days. Do not pop blisters. If you do get blisters continue to apply one of the recommended ointment until the blisters has popped naturally. You may notice that blistering may occur in some treatments and not others. If blistering does not occur, it does not mean that your most recent treatment was less aggressive or your treatment is not working. Sometimes your body will react, while other times it will not. Regardless the treatment is working. Remember, not all tattoos will clear 100%. Your tattoo may just fade.